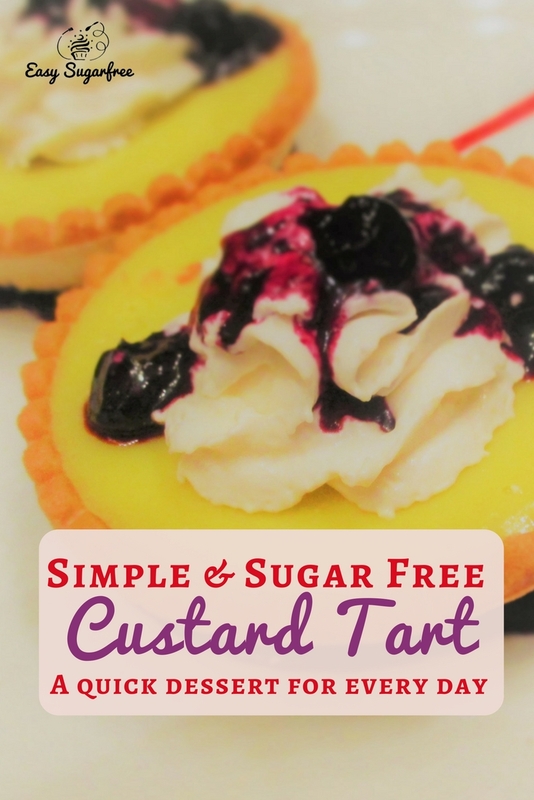 These simple sugarfree desserts help to solve the problem of everyday dessert. 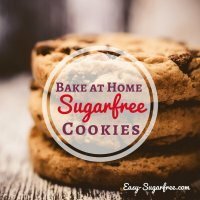 It can be difficult for "Sugarfree" people to find something that is quick and easy - most pre-packaged desserts are full of sucrose. 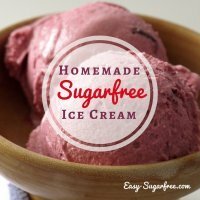 Ice-creams, custards, pies etc from the shops are going to blow your resolve to stay sugarfree if you have them in the house for other family members. 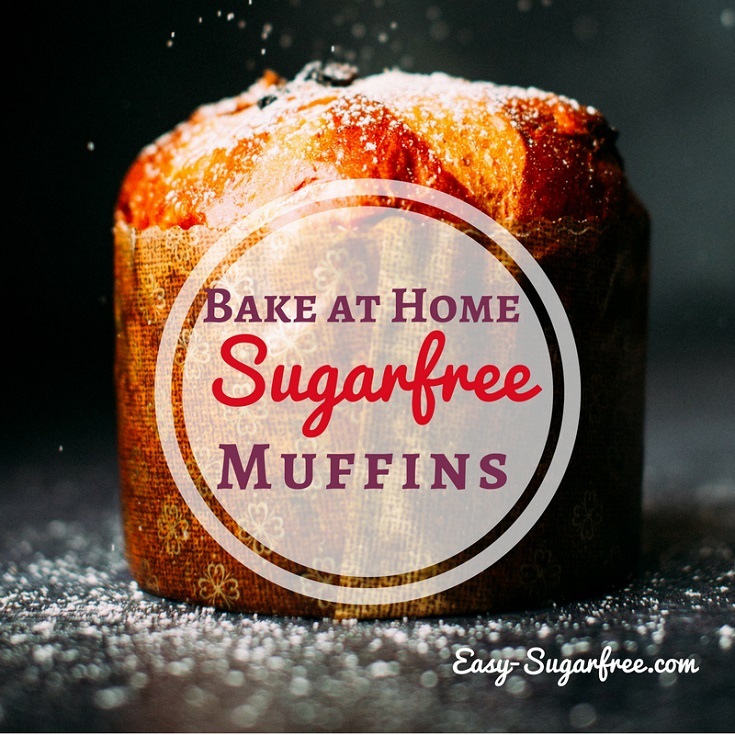 These quick easy sugarfree desserts mean that you can whip up something yourself that the whole family will love. That way you don't miss out and everyone is eating healthier! Sift the flours and dextrose together in a bowl. Rub in butter until it resembles bread crumbs. Stir in the egg yolk, reserving the eggwhite for later. Mix in cold water a tablespoon at a time until the pastry comes together to a ball. Cover and refrigerate for 1/2 hour. Roll out pastry to line a greased 25cm pie plate. Brush pastry with reserved eggwhite. If you are short on time, you can use frozen shortcrust pastry. However, it isn't as nice and you don't control the sugar content. Combine eggs, dextrose and vanilla in a bowl. Gradually whisk in the milk. Gently pour mixture over the back of a spoon into the unbaked pastry case. Sprinkle the top with nutmeg. Bake for approx 40 minutes. If the pastry gets too brown, cover with aluminium foil to prevent it burning. Best served chilled. I must say that Sweet Potato Pie is something that I have had my eye on for quite some time, but I had never made this simple dessert recipe before. Now that I am doing so much baking to try out new simple and sugarfree desserts, I decided to give it a go. This was also inspired by having too much leftover sweet potato in the fridge! We first ate it on the night I baked it, while it was still a little warm from the oven. It tastes much better chilled in the fridge the next day. So I recommend you make it a little ahead of time to allow time for it to chill properly. Sift the flours and dextrose together in a bowl. Rub in butter until it resembles bread crumbs. Stir in the egg yolk, reserving the egg white for later. Mix in cold water a tablespoon at a time until the pastry comes together to a ball. Cover and refrigerate for 1/2 hour. Roll out pastry to line a greased 25cm pie plate. Brush pastry with reserved egg white. Mix the butter into the sweet potato. Then add the spices, dextrose and vanilla. Mix in the milk and eggs. Gently pour the filling into the pastry case over the back of a spoon. Sprinkle the top with extra nutmeg. Bake for about 1 hour at 160 degrees Celcius. If pastry begins to over-brown or burn, turn the temperate down a little.